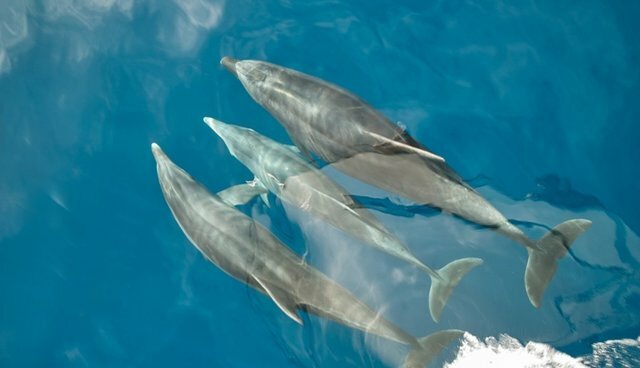 A survey of 2,050 people released last week reveals that watching dolphins and killer whales perform tricks in small tanks is no longer on the travel bucket list of the average British tourist. The poll was carried out by Censuswide on behalf of the leading ethical travel company, responsibletravel.com, and the international wildlife charity, the Born Free Foundation. Growing public awareness of the ethical issues and physical implications of keeping dolphins and whales in captivity is changing public opinion. A staggering 86 percent of people surveyed* said they would not wish to visit a marine park to see whales and dolphins as part of an overseas holiday. Will Travers OBE, President of the Born Free Foundation, said: "Are the days of the dolphinarium over? It seems clear that when presented with the information on which to make an informed decision, British travelers have had enough. It is time to bring the curtain down on the exploitation of whales and dolphins in captivity -- just like the exploitation of wild animals in traveling circuses. There are no longer any captive dolphins in the U.K. and I hope that the result of this survey will hasten the day when there are no captive dolphins kept for public entertainment anywhere in the world. We have a responsibility to make that dream a reality." Respondents were asked the same question at the beginning of the survey and again at the end, after having read a short statement** setting out facts about wild and captive whales and dolphins. When initially asked, a clear majority, 61 percent said they did not wish to visit an overseas marine park to see whales and dolphins. Of those who declared that they would visit, 64 percent changed their minds after reading the factual statement. Ethical considerations appear to be the reason for the respondents' decision -- 75 percent of the initial non-supporters felt it was "wrong to keep whales and dolphins in small tanks," while a further 19 percent said they "don't support or attend any zoos." Justin Francis, Managing Director at responsibletravel.com said: "As public awareness of whale and dolphin captivity issues continues to increase, thanks to films such as "Blackfish" and important campaigns such as our ‘Say NO to orca circuses' petition with the World Cetacean Alliance Working Group on Captivity, time is ticking faster than ever before for this industry. "For too long the travel industry has buried its collective head in the sand on this issue. Just as there was a point when circuses' time was up, the same is happening with orca circuses. It's clear that the majority of holidaymakers are not interested in these shows for ethical reasons. "The time has come for travel companies, and the representative body ABTA (Association of British Travel Agents), to face the facts and stop supporting this irresponsible form of tourism." The Northern Irish were the most unanimous in their distaste of marine shows, with 97 percent not wishing to visit by the end of the survey. Londoners were the most likely to visit (22 percent would want to) by the survey's close. Those in the South East were least interested in marine shows (68 percent did not want to visit) when initially asked. Those in the North West were most interested (45 percent wanted to visit) when initially asked. The Northern Irish were most likely to change their minds after reading the facts, and Londoners were the least easily swayed. *Survey was carried out by Censuswide on behalf of responsibletravel.com and the Born Free Foundation. A total of 2,050 people responded online in the U.K. between May 2 to May 8, 2014.
are capable of diving to depths greater than the height of Niagara Falls (60 m) and hunting live fish using sophisticated techniques. In captivity these animals are confined to tanks, they are fed dead fish and commonly develop problems such as abnormal repetitive behavior and aggression. They are trained to perform tricks and stunts, often to loud music and a cheering crowd.